Carpet Cleaners London ~ Top Deal 20% Off Call Us Today! Our professional team of carpet cleaners will not only come in to your property at a time that is most convenient and best suits you, but we will also give your carpets the cleaning of a lifetime. Most of us will agree that our carpets are one of the most expensive investments in our commercial or domestic property and should and can, if they are given the correct treatment and care, can last for many years without you having to replace them. If however, your carpets and rugs are not given the correct treatment and are not looked after as good as they could be then you may find that you will be replacing them once again in the near future. To save yourself money and to keep your carpets looking clean, smelling fresh and feeling fantastic it is important to give them the treatment, attention and care that they deserve and need! Look after your carpets by treating them to a regular and thorough clean from the professionals at Tidy Up and we are sure that your carpets will last longer and in addition, our thorough carpet cleans will knock years of your carpets too. Why not call us today on 020 3397 4918 and arrange your carpet cleaning with us today! Keeping your carpets clean is not just good and beneficial for the eye but it is also equally important for hygiene reasons too. Over the years, all kinds of new types of flooring come in and go out of fashion. You name it – laminate flooring, tiles, wood flooring etc. But it does not matter what comes in to fashion, as the traditional, comfortable carpets remain the people’s favourite type of flooring. It is comfortable, warm, welcoming and attractive and this is why so many people choose to have carpets lay down in their work place and home. Carpets look great and can last a long time but let’s not forget all of the dirt, odours and bacteria that can get stuck and trodden in to your carpets. In your home, there are pets, children, shoes, work men, guests and spillages which all get trodden and stamped in to the depths of your carpet fibres which leave them dirty, stained and full of bacteria and odours. Even just minor dirt and dust, such as your animal’s fur on the carpet can make them look dirty and old. If you don’t look after your carpets properly, it won’t be long before your carpets begin to look old and as if they have seen better days. In the work place, your carpets are also very likely to suffer daily wear and tear from foot traffic, walking weather in from outside and from work men and clients. This can only spell out trouble for your carpets and their life line. There is however, way in which you can cure this problem and it will not cost a fortune because our carpet cleaning services are inexpensive and of the highest quality too. 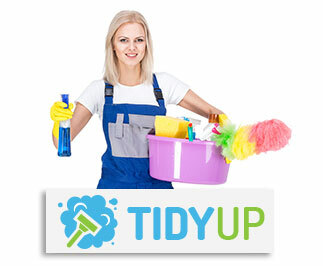 Tidy Up offers great priced carpet cleaning services which can be pulled in and carried out at any time of day or night, which ever time and date suits you best. Our professional carpet cleaners can guarantee a quick and efficient carpet clean for your domestic or commercial carpets any time you like. After our carpet cleaners come to clean your carpets, they will be back to normal and ready to walk on again in a very short amount of time afterwards so as not to interrupt your working or personal environment. Call us today on 020 3397 4918 for a free no obligations quote and look forward to getting your carpets professionally cleaned.